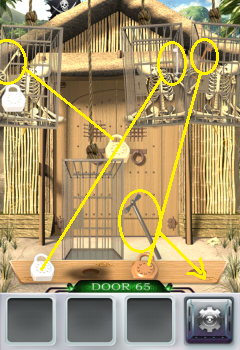 Pick up the lever and place it in the far right circle on the wooden board. Tap it to lower the cage. Take the key and unlock the bronze lock. 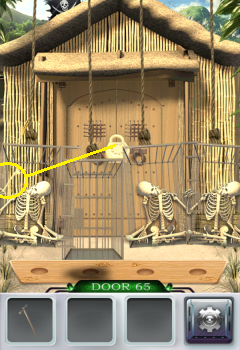 Keep placing the lever in new spots and lowering cages until you get all the keys and unlock the locks.